The 4 Mcclellan's: Happy Birthday Honey! Yep, it's true, my poor husband's birthday is on Halloween. 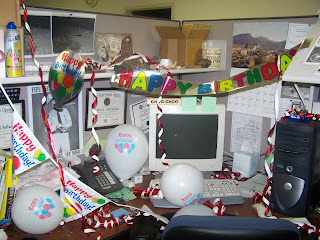 I think it is almost as bad as having a birthday on Christmas! Every one is busy with trick or treating, and dressing up. But he's a good sport about it! I told him tonight that he never dresses up for Halloween, and Aryn came to me later and says Dad does too dress up! 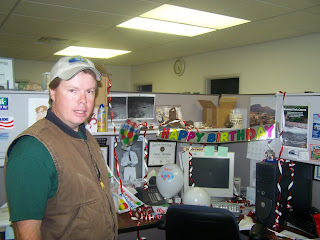 He dresses up like a birthday boy! I thought it was pretty cute. Every one who knows Clark knows he LOVES steam engines. 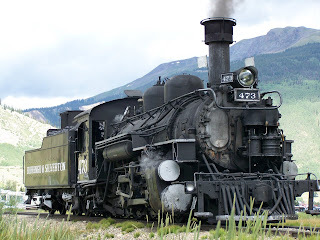 Working for the railroad runs pretty far back in his family, and Clark worked for Union Pacific railroad for a few years before we were married, and then he engineered the steam engine at the Heber Valley Railroad for a couple of years. He has a room dedicated to his trains, and sometimes, if we have been really good, me and the kids get to go in and see it! Clark also loves the outdoors. He loves to go anywhere and camp. 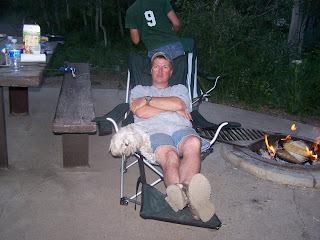 We have spent many weekends camping and fishing at Payson lake. But his favorite camping spots are Durango Colorado, and Chama New Mexico. 4 wheeling is also another love of Clark's. 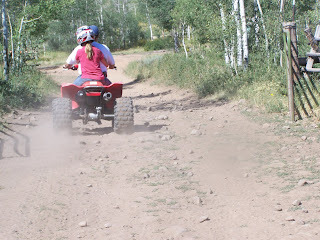 Although we have 4-wheelers, we don't get out on them nearly enough. Clark is happiest when surrounded by his family. So happy birthday sweetie! We love you! Oh, and enjoy your last year before you head over the other side of the hill! Wow a birthday on Halloween! Happy Birthday! Fun pictures! The the one in yellow!